The 2017 Frankfurt Auto Show was arguably the biggest car event of the year not only for BMW, but also for its M family. The famed sports car division hosted the world premiere of the new M5, arguably the company’s most iconic car. The new sports sedan was showcased in two configurations, the standard M5 in Marina Bay Blue and the limited “First Edition” Frozen Dark Red Metallic. The new M5 also mark’s the start of a new era – an all-wheel drive system included in an M sedan. The highly configurable xDrive system will be next implemented in the M8 lineup. BMW also showcased in Frankfurt the M4 CS, another new model for the brand which will be followed by similar variants in the future. 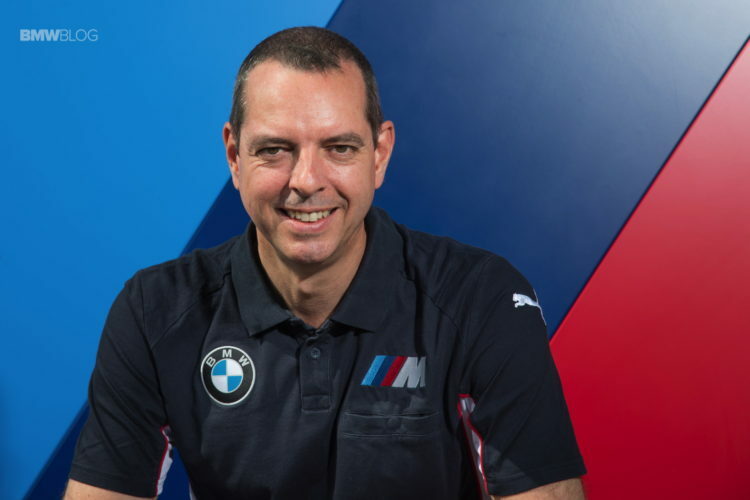 To learn more about the new M5, also about the success of the M2, the future of manuals, and many other topics, we spent some time at the show with Frank Van Meel, Head of BMW M.